Homeschool science is such an important part of learning! Whether your students are hands-on learners or the types who like to learn from textbooks, a good science program can help students understand some other subjects better. Science4Us is a K-2 early elementary science program that delivers digital and real-world science experiences while building literacy, math, and engineering skills. Interactive and inquiry-based, Science4Us appeals to young learners and provides a solid foundation upon which a deep understanding and interest in science can be built. Beestar provides weekly Science exercises for Grade 2 – 8 students. Students apply their knowledge to the problem-solving process. Their analytical thinking and problem-solving skills are improved. Students are encouraged and awarded with Beestar weekly honor roll, and term trophies. Virtual labs, honors and AP science courses available with International Virtual Learning Academy. High school students work toward their choice of five diplomas in this private, online, accredited school staffed by certified teachers. NCAA approved. The Keystone School offers flexible education programs for grades K-12 to help students achieve their unique goals, offering full-time and part-time enrollment options with over 170 courses to choose from. Adult Learning and Credit Recovery courses are also available. K12 Courses has everything from flexible, individual courses; online and offline materials; early learning programs; test prep programs; and more! Supplement your homeschool curriculum or expand on your student’s educational interests, all available with affordable payment plans. Teaching math in the homeschool setting can be challenging for some. It doesn’t have to feel like the end of the world when you have fantastic companies out there to make it easier on you! ELEMENTARY AND HIGH SCHOOL MATH WINNER! In solving real-life word problems in Beestar math weekly programs, students apply their math knowledge to the problem-solving process. Their analytical thinking and problem-solving skills are improved. Beestar students are encouraged and awarded with the weekly honor roll, and term trophies. CTC Math offers one low family price with complete access to all levels from all grades – no restrictions allowing students to learn at their own pace. TOTALLY MEDIEVAL: THE EPIC MATH ADVENTURE is the first math game of its kind and we know you will love it. It’s a mixture of Chess, math, and the Medieval times. We are trying to change a culture that gaming has to be all about make-believe and removing ourselves from reality, but instead, we can use it to learn and grow while simply having fun. Math Dice is similar to dice except on cards where instead of rolling dice you can flip over a card and answer an equation on the card to receive points towards your turn. The subjects span from Addition and Subtraction all the way to Algebra 1. These cards can be used on more than Totally Medieval, Monopoly, Life, and even Risk; it can be played on any game that already uses dice. Need help explaining integers to your middle school student? International Virtual Learning Academy’s math teacher is ready to help! Online, student-paced learning with an available teacher &ndash; ideal for building for middle school math skills! Make sure your students have a top-notch reading program to keep their skills sharp during all of their school years! ELEMENTARY, MIDDLE, AND HIGH SCHOOL WINNER! Beestar ELA Reading has classic articles and stories that are interesting to young readers. They also provide innovative online preparation for SAT and ACT in Math, Reading/Writing and Vocabulary. Students are awarded with Beestar weekly honor roll, and term trophies. Wings to Soar Online Academy offers Personalized Learning Plans get 1.5-3 year reading gains through quality online programs including Lexia, Reading Horizons, Dyslexia Gold, RAZ Plus, Headsprout, Nessy, Reading Plus, Fast ForWord. FREE assessments and FREE trial. Writing is a key skill your students will need even in college and beyond. Lay a firm foundation by choosing a solid writing program to teach the fundamentals! Time4Writing’s online writing curriculum covers all the basics as well as making sure young writers understand the more complex and technical aspects of the writing process. In each of the 8-week courses for elementary school students, a certified writing teacher will provide exactly the know-how, feedback, and encouragement that students need and parents expect. Sunscript is the best cursive handwriting program on the planet! Wings to Soar Online Academy’s writing intervention courses partner with parents to build confident writers. Weekly small-group webcam classes designed for 4th-12th-grade students with language-based learning challenges with daily bite-size assignments. Includes one-to-one coaching and artificial intelligence computer feedback. Teaching children a foreign language can seem impossible – especially if you’re not bilingual yourself! Thankfully, there are products available that take the weight of this off your shoulders. Come see which products voters consider to be the best of the best! MIDDLE AND HIGH SCHOOL WINNER! LanguageBird offers 1-to-1, online, foreign language courses, as well as tutoring, test-prep, and conversation lessons with expert instructors, LIVE via video chat. Students earn 1 year of high school foreign language credit with 24 private lessons. Enroll anytime. Breaking the Barrier’s programs are solid and affordable for families. Programs cover all the basics and also have visually exciting technology components as well. The programs are rigorous but very approachable and inviting for students and families even when the homeschooler is not proficient in the language. Take your students on an adventure through the past by ensuring they’re using a quality history program! Historical Conquest is an epic card game that teaches history. Because the information on the cards are short, they are not intimidating to youth. The game has everything kids love to play but they are learning history in a non-forced method. Historical Conquest: American Revolution Expansion Game and Curriculum. The game is similar to the full version but instead battling over the entire world map, you are competing for the original 13 US colonies and 7 territories. 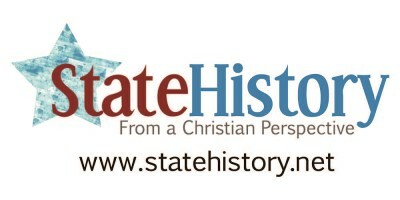 Fifty States Under God by A Helping Hand (two levels) An “I-love-history” work-book study of all 50 states in order of statehood. Includes interesting info and color state symbol pictures for each state, a timeline, and a progressive map study. Elementary students explore topics of history and social studies with International Virtual Learning Academy. Online, private, accredited school supported by certified teachers. Gifted and talented program available. With VocabularySpellingCity, kids easily engage in independent word study at their own pace. Only ten minutes of daily independent practice through VocabularySpellingCity has proven effective in increasing vocabulary retention and reading comprehension! At Beestar, Vocabulary skills are built on intensive reading comprehension and practice. Beestar has the enhanced “Double Meet” exercises to help students learn and memorize new words. Students are encouraged and awarded with Beestar weekly honor roll, and term trophies. Sometimes – especially when teaching learners of various ages – we need a great program that meets the needs of ALL of our students. Check out the programs you liked the most and see who your top picks were! PRESCHOOL, ELEMENTARY, MIDDLE, AND HIGH SCHOOL WINNER! Time4Learning’s early learning preschool curriculum revolves around skill-focused, standards-aligned activities covering the building block of reading and math while incorporating social studies, science, and art. The PreK program was created to expose young learners to important learning principles in a fun, pressure-free environment while the K-12 program offers a full and complete curriculum for language arts and math. The program also includes science and social studies to round out your students’ studies. Get Ready 4 Kindergarten provides parents with the support, materials, and resources they need to confidently build a language-based, activity-driven learning environment for their child without worksheets or added screen time. We offer this in 2 formats: all-inclusive, delivered-to-your-home or downloadable. The Royal Conservatory of Music’s Music Theory apps put a fun spin on the building blocks of music. Entertaining animation, lively narration, and engaging games keep kids motivated and focused on learning the essential concepts of music theory from The Royal Conservatory, a leader in music education. United Digital Learning offers fun, game-based learning ideal for pre-k learning. Available for a low monthly subscription. No enrollment fee! Global Village School spent over 10 years developing the progressive and flexible Whole Child, Healthy Planet curriculum guides for K-8, with V10 coming soon! Individualized teacher services available in collaboration with a staff possessing many years experience customizing learning paths. Students can find what they need from Beestar weekly programs in Math, ELA, Vocabulary, Science, Social Studies, and GT Math. Students are encouraged and awarded with Beestar weekly honor roll, and term trophies. Parents can monitor performance and progress online. Personalized Learning K-12! Increase the Success of your students with www.etap.org’s personalized learning program. Access all K-12 grades and subjects plus test prep for College entrance exams. One affordable fee includes use by all your children. No matter how small your budget, CHSH-Teach offers an affordable solution for everyone by offering annual and lifetime subscriptions to the Download Club. Regardless of your needs, CHSH-Teach.com has you covered! Forest Trail Academy is an accredited private K-12 online school. Several of their many accreditations include the Southern Association of Colleges & Schools Council on Accreditation and School Improvement (SACS CASI) and Middle States Association – Commission on Elementary and Secondary Schools (MSA CESS). Excel High School offers accredited, online, middle school and 9-12 high school programs for homeschool students. Excel’s courses are engaging, rigorous, and taught by highly qualified instructors. Excel sets itself apart by delivering exceptional service to its students. Northgate Academy offers regionally accredited online high school programs for students seeking a rigorous high school experience that is aligned with Christian values. Online courses are flexible, fun and are designed to prepare students for success in college and beyond. Bridgeway Academy offers a fully accredited homeschool program for kids Pre-K – High School, including Dual Enrollment. They believe that homeschooling inspires both a love for learning and student success as families can personalize education to their child. Check out their all-inclusive programs, live online classes, and grade level kits at bridgewayacademy.com. For many Christians, incorporating Bible and religious study is just as important as the three Rs. If you’re looking for a curriculum to help you teach your students, look at what your fellow homeschooling parents voted as their personal favorites! Bible-based courseware is available with Global Student Network! Student-paced content with a Christian worldview delivered on a convenient, flexible online platform. Enroll anytime with Global Student Network! Equip’s Online Christian Program uses Bible-based curriculum available with International Virtual Learning Academy. High school students work toward their choice of five diplomas in this private, online, accredited school staffed by certified teachers. Do you have an extra special homeschool student? Be sure to pick a curriculum that specifically caters to those with special needs learners! Time4Learning is an award-winning, online curriculum for PreK-12th. Their learning system teaches and grades lessons, tracks progress, and works with a variety of learning styles. The comprehensive curriculum includes lessons in math, language arts, science, social studies and more. Students also have access to printable worksheets and the ability to advance at their own pace. Time4Learning’s elementary curriculum provides engaging online lessons that kids love! Wings to Soar Online Academy empowers dyslexics and other outside-the-box learners. Online Path to Success Personalized Reading and Language Learning Plans. Small-group webcam writing intervention and Integrated Liberal Studies courses designed for students with language-based learning challenges. If you feel most curriculum programs just don’t “understand” your student, you could be dealing with social/emotional issues. If that’s the case, you can choose a program specifically designed for your special student! SFK teaches children more than just how to improve their behavior; it teaches them to take a deep look within as well as a global perspective. SFK has original content, a combination of online and face-to-face classes, and fundraisers to make sure all families can be included in the program. For 131 years, the Royal Conservatory has developed human potential through comprehensive music education, nurturing brain development and improving scholastic performance. The Royal Conservatory Certificate Program offers music, digital resources and assessments supporting the academic and social potential of students. “If only parenting came with a guidebook!” Have you ever heard yourself utter those words? Thankfully, there are programs designed to match your needs. SFK Academy’s Certification Program is a program developed for educators, parents, and people that want the change the lives of children for the better. By being certified in teaching the SFK courses to children, you can go and teach children how to take a deep look within themselves as well as through a global perspective. Online curriculum from Global Student Network simplifies progress tracking for parents/teachers. Parents/teachers choose what curriculum their students will use. Great customer support! Academic advisor and record keeping assistance available. Beestar provides innovative online preparation for SAT and ACT in Math, Reading/Writing and Vocabulary. Students of Grades 9-12 can effectively master the core knowledge and skills tested in SAT and ACT. Parents can monitor performance online. At College Prep Genius, we teach students how to ace standardized tests like the SAT/PSAT/CLT. Students will learn that these are logic tests and that the questions can often be answered in 30 seconds or less. Higher test scores equal more scholarship money! English and Language Arts programs at Beestar provide students Grade 1 to Grade 8 with exercises in grammar, writing and reading Comprehension. Worksheets are graded immediately after the results are submitted. Parents can check their performance by logging into the account through the web access. Adding music to your homeschool can seem intimidating if you aren’t musically-inclined yourself. With companies available to assist, almost anyone can incorporate music into homeschooling! Take a musical journey of the composers and masterworks that shaped the Baroque, Classical, Romantic, and Modern eras! This digital course offers students convenience and independent study as well as the assessment that is integral to The Royal Conservatory’s gold standard music education system.